Today Google has released the latest version of Gmail for iOS. Gmail 4.0 comes with a few new features, chief among which is the support for quick actions in notifications. 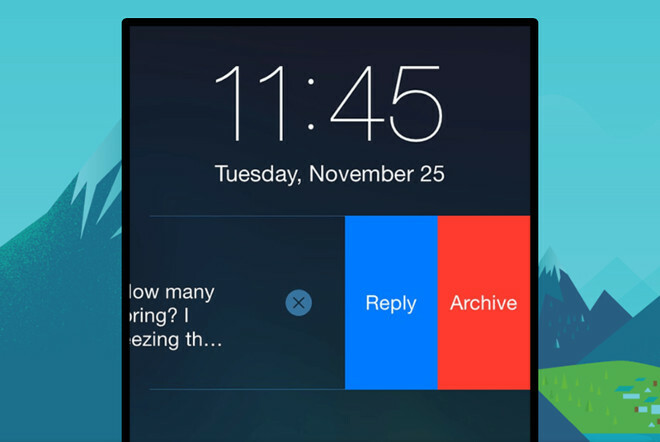 So now when you get a notification about an email, you can archive or reply straight from the notification. As this functionality is made possible by iOS 8, it will only be available to you if you’re on that version of Apple’s mobile operating system (or its later updates, of course). Another thing that neatly takes advantage of improvements in iOS 8 is the ability you now have to email files from other apps, easily attaching photos or documents to Gmail. And finally, you can now open attachments from Gmail in any app, thanks to its new attachment viewer. As is always the case, we assume there are some unnamed bug fixes in the update too. The new version of Gmail for iOS is already up for grabs in the iTunes App Store. It requires iOS 7.1 or later to run, and it’s compatible with iPhone, iPad, and iPod touch models.